Renovated Hotel ! Your 3 star Campanile West Paris Gennevilliers - Barbanniers Bed and Breakfast hotel, located in the heart of the Barbanniers business district, is the ideal place for your business and conference trips, but also for your holidays. A five-minute walk from RER line C and a five-minute car journey from Les Agnettes metro station, discovering Paris will be easy. 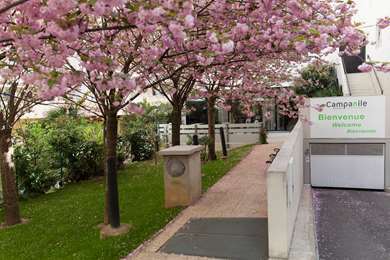 The Campanile Hotel Gennevilliers - Barbanniers has an air-conditioned restaurant which seats 130 and has a quiet terrace with an extra 80 seats. A variety of traditional food is on offer, with all-you-can-eat starters, hot food and dessert buffets. 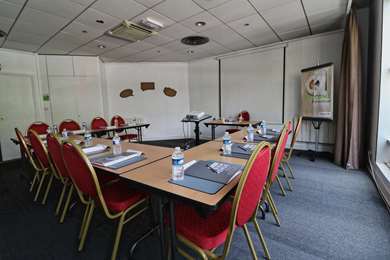 Your Campanile West Paris Gennevilliers - Barbanniers B&B hotel is close to well-known tourist sites, including Montmartre, Sacré Cœur, Invalides, Champs Élysées and the Stade de France, which is a sporting and cultural venue, all within a 10km radius. 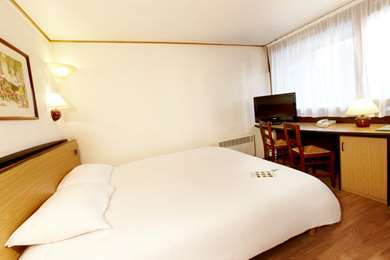 The hotel can be accessed from the A15 and A86 motorways and is 10 minutes from Porte de Clichy. The hotel has a secure, underground car park with space for 40 vehicles and reception is open 24 hours a day, seven days a week. 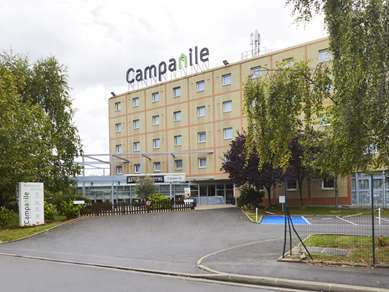 Your Campanile Hotel West Paris can be accessed from the Gennevilliers Village exit on the A15 motorway, or from the A1 by following the A86, direction Epinay-sur-Seine, and exiting at Gennevilliers Centre. 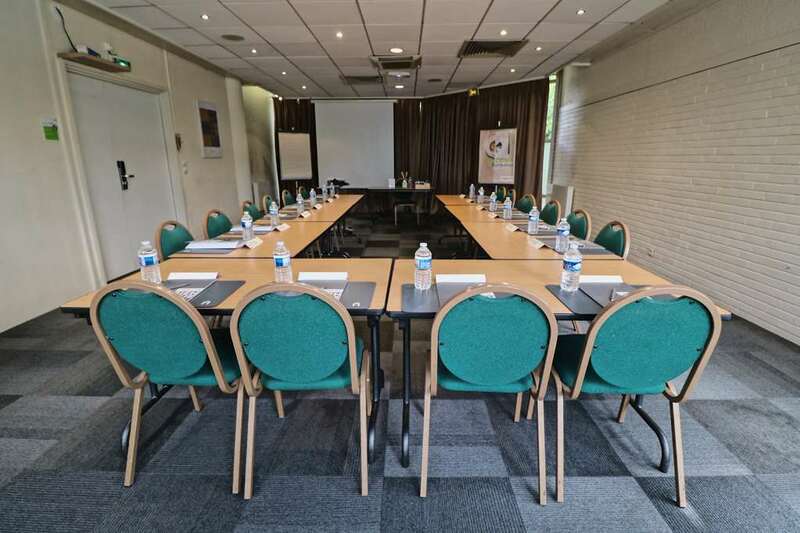 Your hotel is 500m from the RER C train line, 2km from Les Agnettes metro station (line 13), 2km from the Chanteraines shopping centre and 5km from the Stade de France. 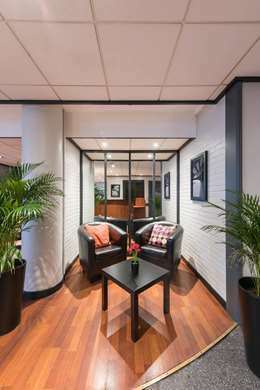 Paris city centre is 12km from the hotel and Charles de Gaulle airport is 25km away. 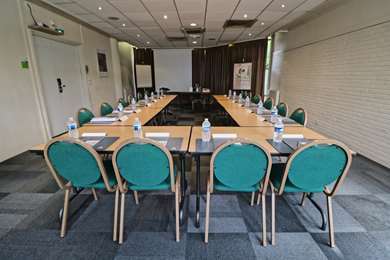 The hotel has two air-conditioned conference rooms which were recently refurbished have plenty of natural light. 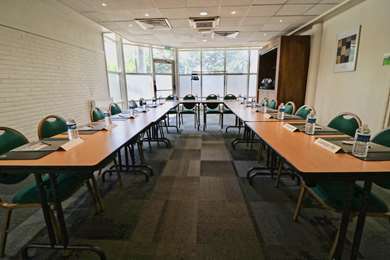 You can organise your meetings in one of our two rooms which can accommodate 15 and 25 people (capacity varies according to room arrangement). As both rooms are equipped with video projectors, Wi-Fi, flip charts, coffee machines and sweet and savoury refreshments, they provide excellent working conditions. Are you looking for a Paris hotel on the Campanile website today? 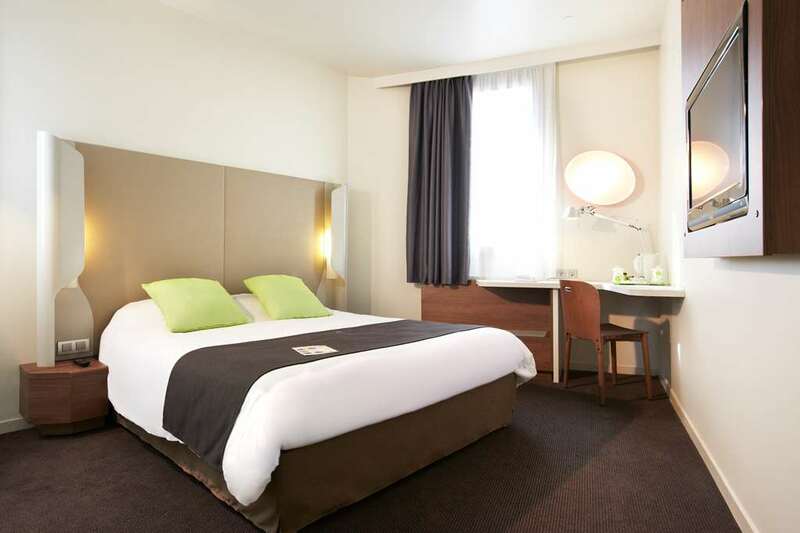 Finding an affordable Paris B&B hotel is easy with Campanile. 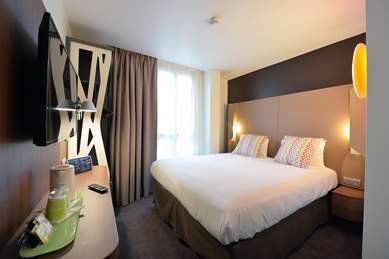 We recommend the Campanile West Paris Gennevilliers - Barbanniers. 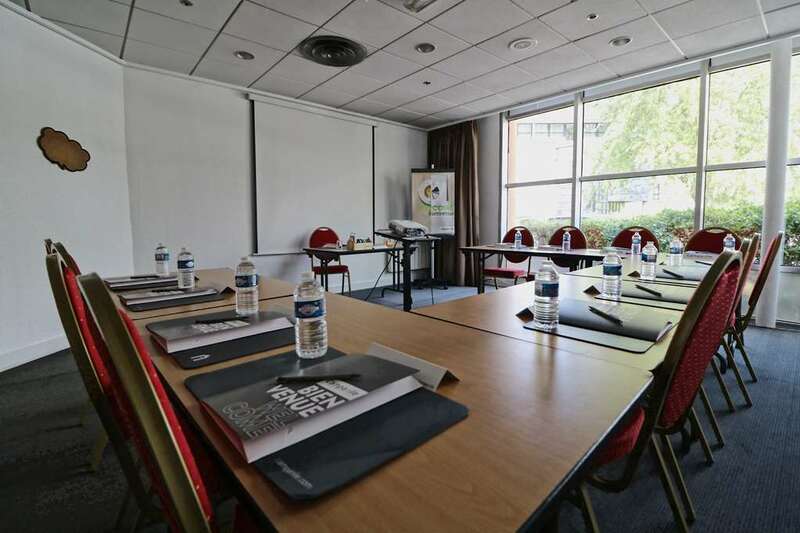 If you book a room at the 3 star Paris Campanile hotel you will be in a superb location, just 5km from the Stade de France and 25km from Charles de Gaulle airport. Visit the Campanile website in order to take advantage of the best deals and up-to-date special offers! Book online or on your smartphone using the HotelForYou application for iPhone, BlackBerry and Android. 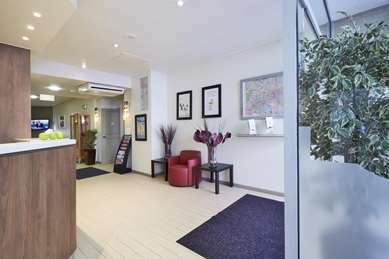 You can find the hotel nearest to you, find information about its facilities and check room availability. 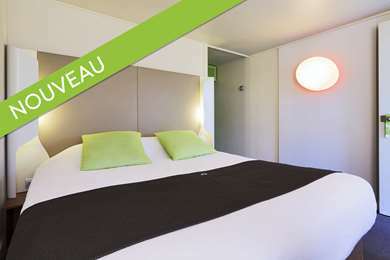 See you soon in our 3 star West Paris Gennevilliers hotel! 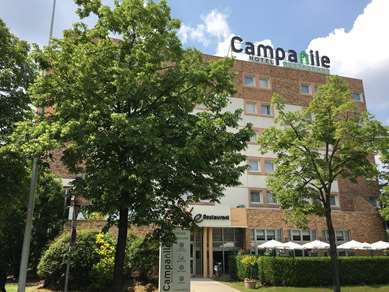 Your Campanile B&B hotel has 116 rooms, four of which are accessible for guests with reduced mobility. 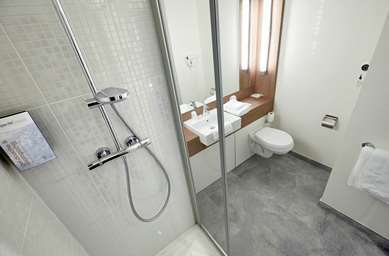 It also has triple and quad rooms, which are specially designed for families. All rooms are air-conditioned and feature high quality bedding, free Wi-Fi, flat-screen TV with Canal + and BeIN Sport, welcome tray, desk with telephone, bathroom with bath and a hair-dryer. Served in our warmly-decorated dining room every day from 6.30 to 9.30am. Regional or traditional cuisine ? A light lunch or family dinner ? 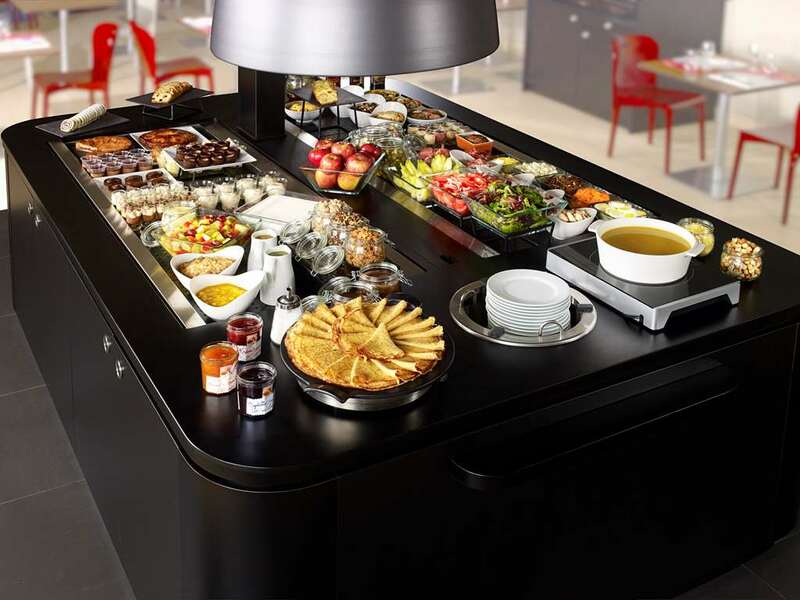 Buffet options, children's menus or à la carte dishes ?